Find the attribute that has names of regions. Choose the corresponding pre-defined map option. Alternatively, just click " Booster" - Keshif will find if your data includes some recognized regional names. Depending on how location data is used in the dataset, Keshif will either aggregate data rows by region, or enable analysis by each region uniquely. 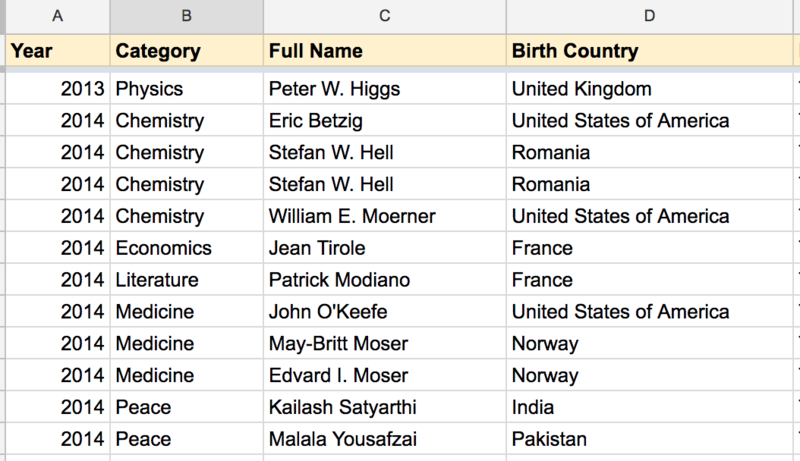 Example: Nobel Prize Winners dataset - In this dataset, each row is a Nobel prize winner, and columns include data such as the country of birth, gender, category of prize and year of prize. Once your regional data is ready, Keshif will automatically convert your bar chart to a map. Example: World development indicators dataset . In this dataset, each row is a unique country (region), and rows include per-country information such as GDP and population. To add the map, you need to use the derive menu inside the dataset attribute panel. When your data has fields that are named "latitude"/"longitude", "lat"/"long" and their variations, Keshif can automatically create point-maps to show the geographic trends of your data. To help Keshif recognize the point locations, click " Boost", and confirm the fields Keshif detected. Example: Volcanic eruptions dataset - The location of each eruption is stored in two columns, called "Latitude" and "Longitude". Once prepared, Keshif will automatically create a point-map for your records. Read on to discover your map exploration options. 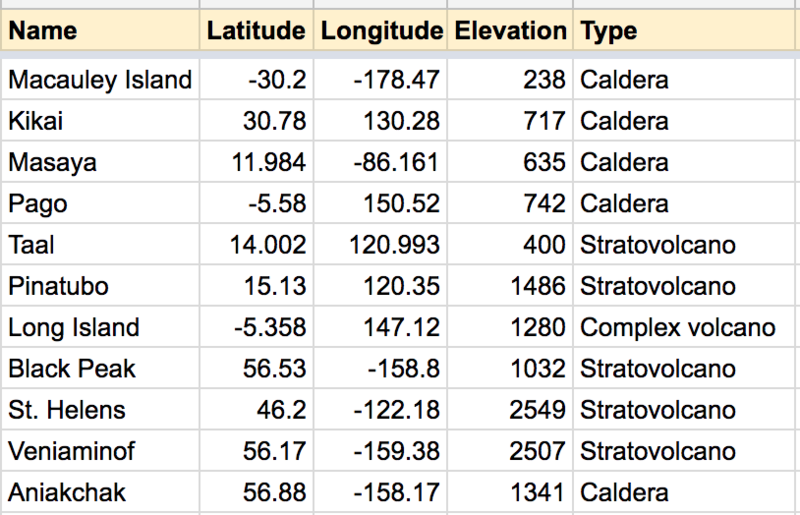 Note: Your data needs to include columns with name "latitude", "longitude", "lat", "long" and their variations for Keshif to automatically detect the point location of records. If your data is not recognized, please check your column / attribute names in your dataset.